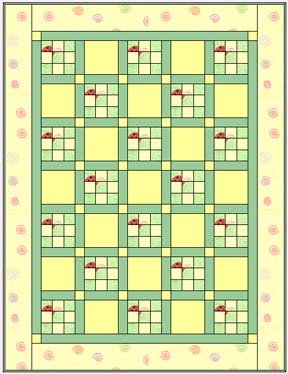 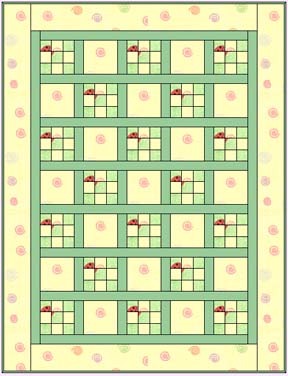 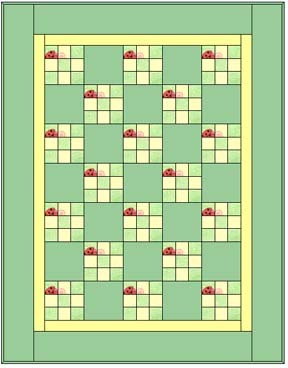 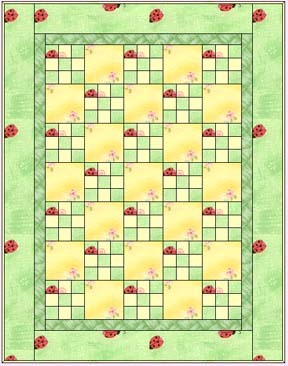 For a 6 inch finished nine patch blocks (in the quilt), you need to cut 2 1/2 inch squares. 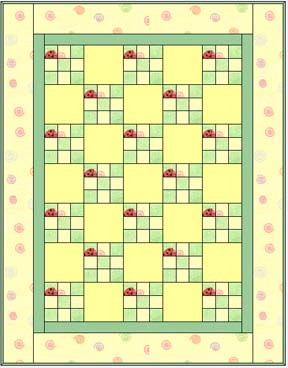 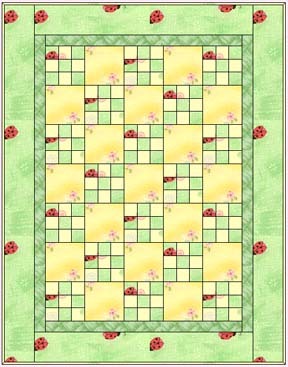 You need five dark 2 1/2 inch squares and four light 2 1/2 inch squares for each nine patch. 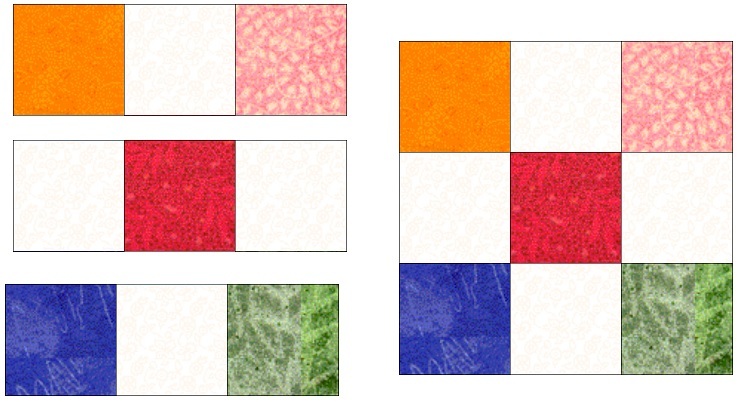 Your lights and darks can all be different or all the same, but they must contrast with each other.